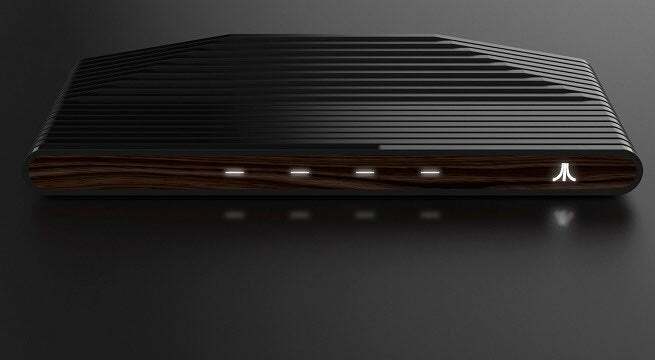 The company has revealed today that the system will now be referred to as the Atari VCS, or Video Computer System. And if that name sounds familiar, it’s because that was a name that was also passed around in the late 70’s when the Atari 2600 initially came out. You can see the logo below, and, yes, it’s definitely going for nostalgia. As previously noted, press that are in attendance at the Game Developers Conference this week will be able to check out the Atari VCS, as well as its controller prototypes, including the Classic Joystick (which resembles a classic Atari 2600 controller), as well as a Modern Controller. You can see those in the picture below. “Inspired by the iconic silhouette of the original Atari 2600 Video Computer System, the new Atari VCS has already generated considerable excitement within the gaming community. Its skillful blend of modern lines and reverential details, combined with contemporary content technology and new innovation, has evoked positive reactions from Atari fans both new and old. 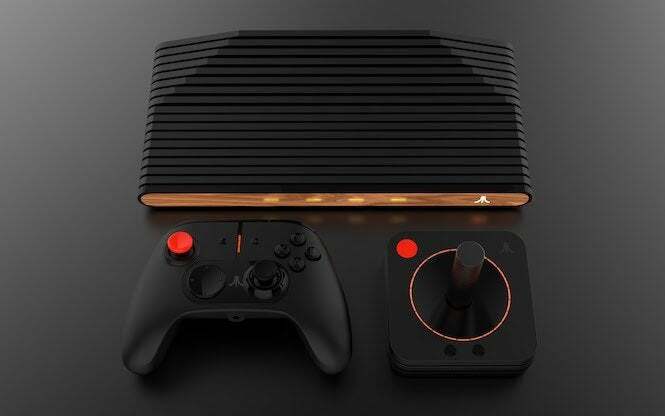 The Atari VCS will of course serve up lots of classic content, but it is so much more than a ‘retro-box.’ It is a completely new Atari connected device designed for today’s living room,” the company noted in its press release. All of the company’s branding and communications will also be shifted over to reflect the Atari VCS name and mantra. It sounds like the company is ultra serious about getting back to its roots. The Atari VCS doesn’t have a release date at the moment, but more details about it can be found on the official web page. We’ll keep you informed as more details become available.